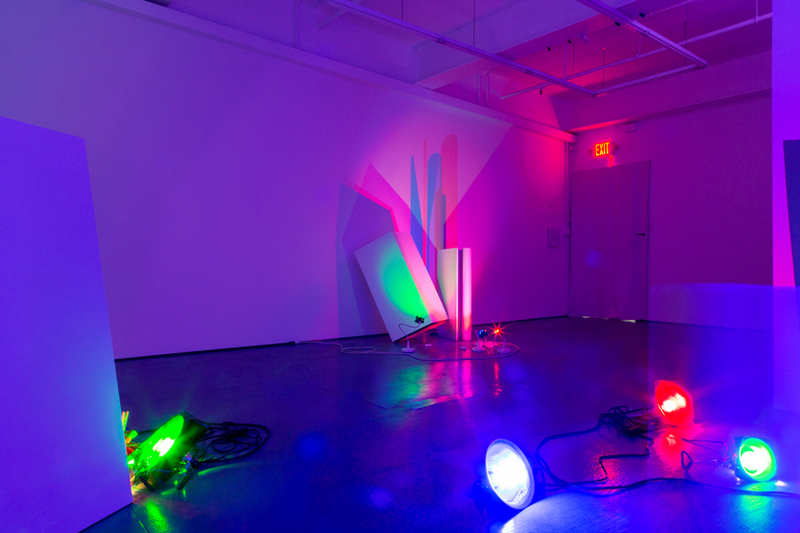 Transmitter is proud to present a new installation by Brooklyn based artist Lindsay Packer. Packer's installations treat light as a material, with an analog approach rooted in the visual language of painting. 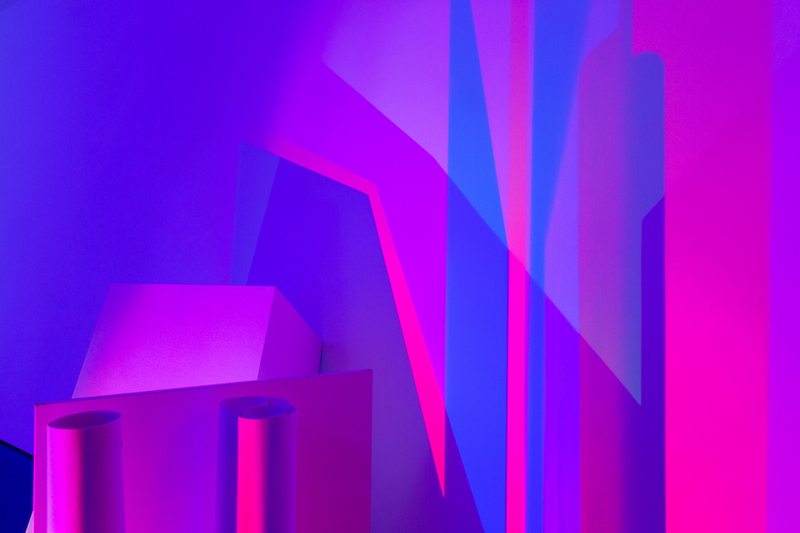 Manipulating light, color, and shadow, she leaves behind the idea of "art as object" in order to create immersive environments that play with the architecture they inhabit. Packer’s site-specific work follows the tradition of artists who have crossed boundaries between photographic observation, work on canvas, and work within an architectural setting, such as Robert Irwin, James Turrell and Dan Flavin. Her intuitive approach to a formed idea lets situational elements and experimentation guide her expression. 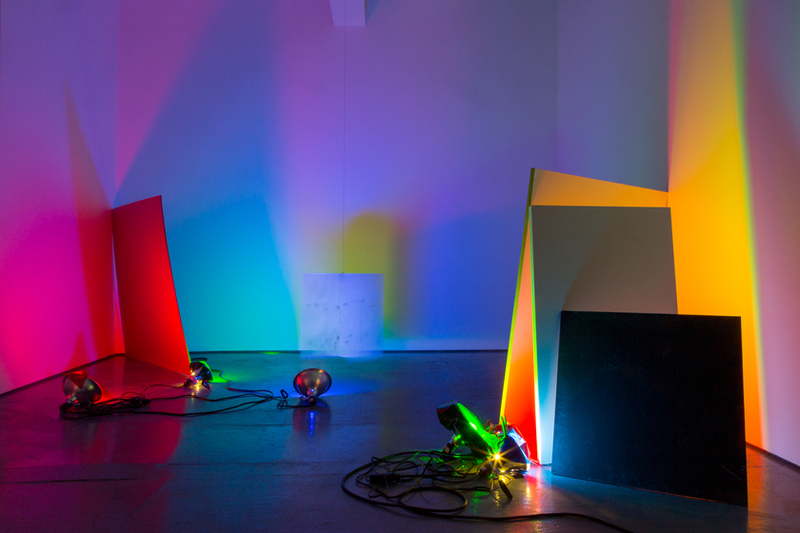 “I play with the call and response of color and light, found materials and architecture. 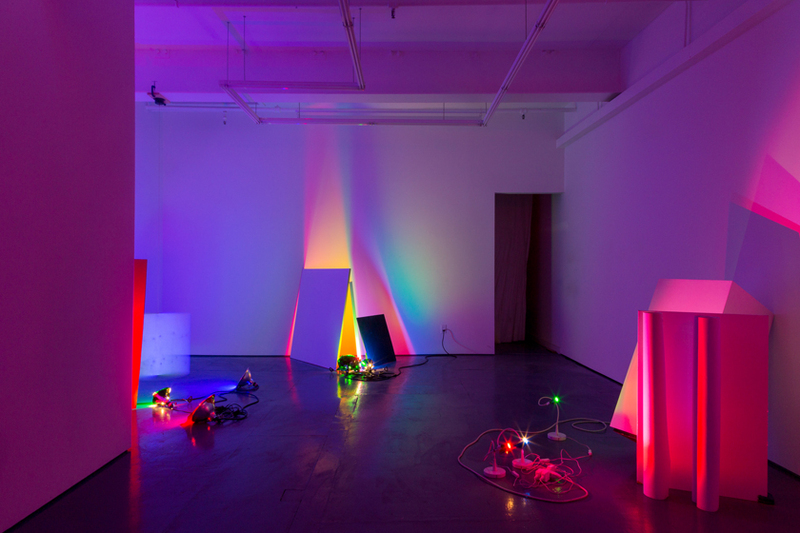 My installations are analog RGB color spaces and luminous, temporary geometries that call into question the divisions between analog and digital ways of seeing. Like prisms, my installations combine separate colors into white light and break that light up again into its separate parts. My working process shifts from an Additive or RGB Color System to a Subtractive or CMYK Color System in prints and photographs that explore luminosity, transparency, and optical color mixing through dynamic layering of color and form. In all my work, site, movement, chance, and improvisation determine composition and color. Lindsay Packer received a BFA from the Rhode Island School of Design, an MFA from the School of the Art Institute of Chicago, and was awarded a Fulbright Fellowship to India to study site-specific ephemeral imagery. She has twice been Artist in Residence at the Josef and Anni Albers Foundation, was a Keyholder Resident at the Lower East Side Printshop, and has been awarded numerous residencies and fellowships nationally and internationally. Her installations, videos and prints have been featured at Stony Brook University, Present Company, NURTUREart, The Lower East Side Printshop, and Soho20 among other spaces. She lives and works in Brooklyn, NY.